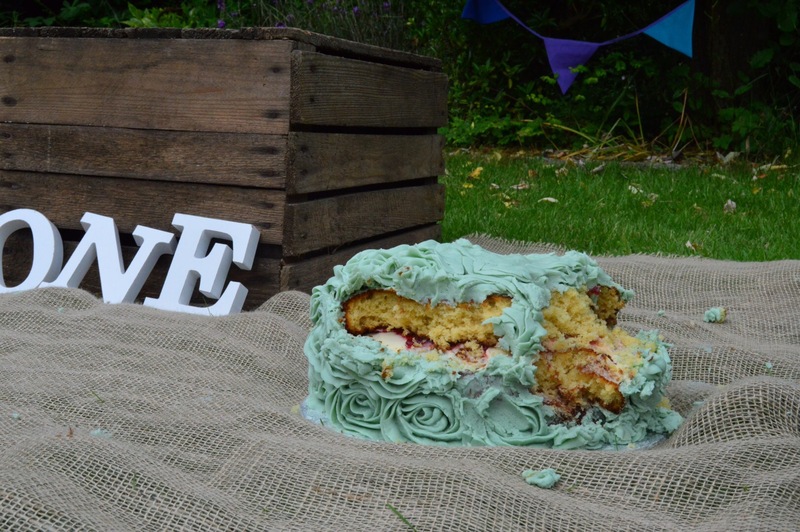 My DIY cake smash – it's a mums word.. I have been meaning to publish this post for literally ever. But life has got in the way.. Oh and we’ve been away for a month, yes a MONTH. But more on that another time. 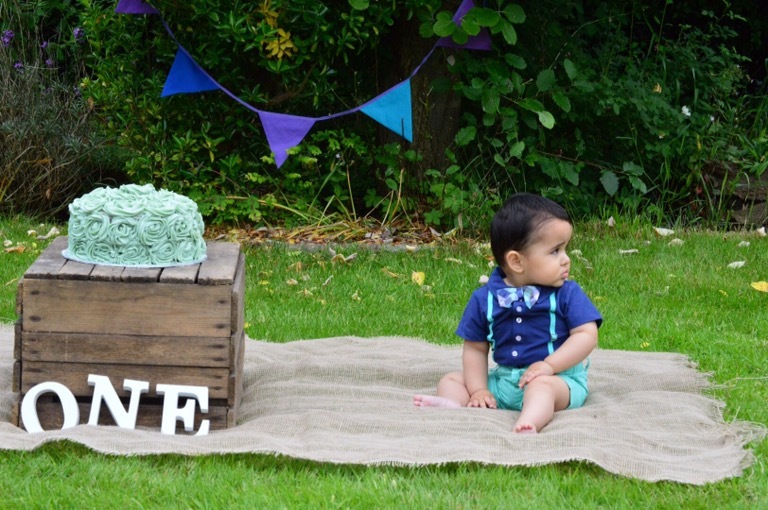 I originally picked a mint green bow tie and nappy cover from Etsy to go with my colour scheme, but daddy was not impressed when I brought Sami downstairs on the morning of the cake smash. 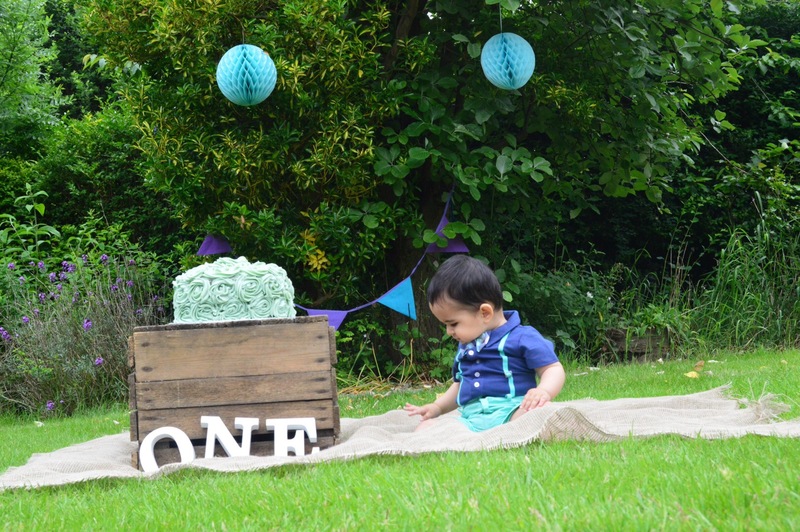 Luckily I had an outfit for his first birthday BBQ ready, so quickly changed him into that and thank god it went perfectly with the colour scheme. 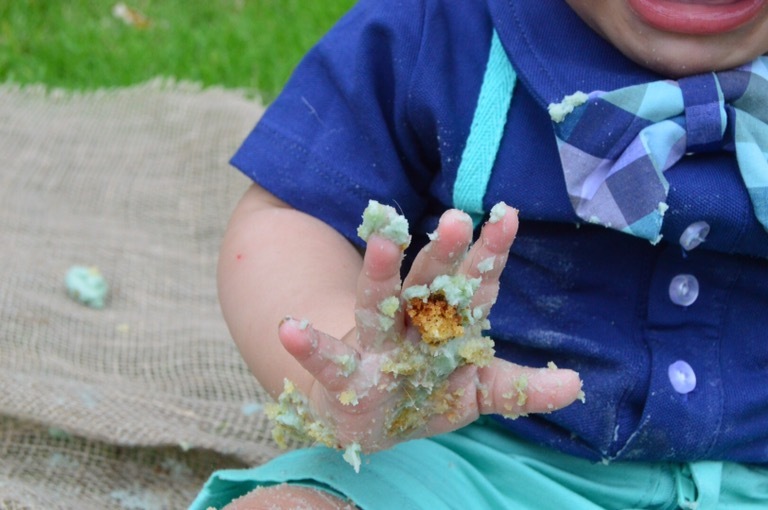 I decided to do the cake smash outdoors for a couple of reasons. Firstly, less mess in the house and less to clean up after, and secondly I felt I had a better shot at getting the photos right. Also, I wanted to keep the setup simple and felt this was a lot easier in the garden with lots of greenary as a natural setting, with a few added touches. 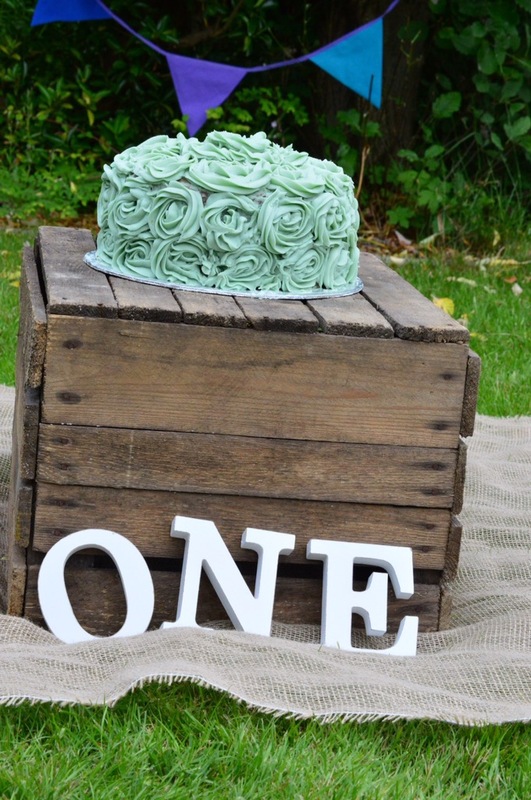 I ordered a couple of props online, a hessian canvas cloth, a wooden crate and some wooden letters/numbers. I also digged out some leftover wedding party decorative balls and a banner. My main aim was to keep it simple, I didn’t want it to look overdone or cheesy. I initially looked to order one, but couldn’t justify the cost for a cake that was going to mainly go to waste. The whole point of a DIY cake smash was to save money so I just couldn’t bring myself to spend fifty odd quid on one. Thankfully my sister stepped in and she did a marvellous job of icing her first cake. 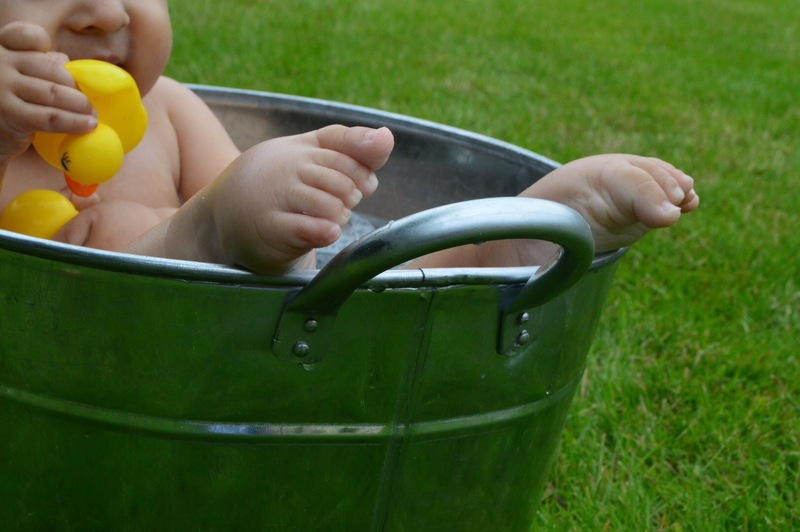 Then all I needed was a happy baby.. And here’s the bit I didn’t plan for. My baby just was NOT interested. Whatsoever. 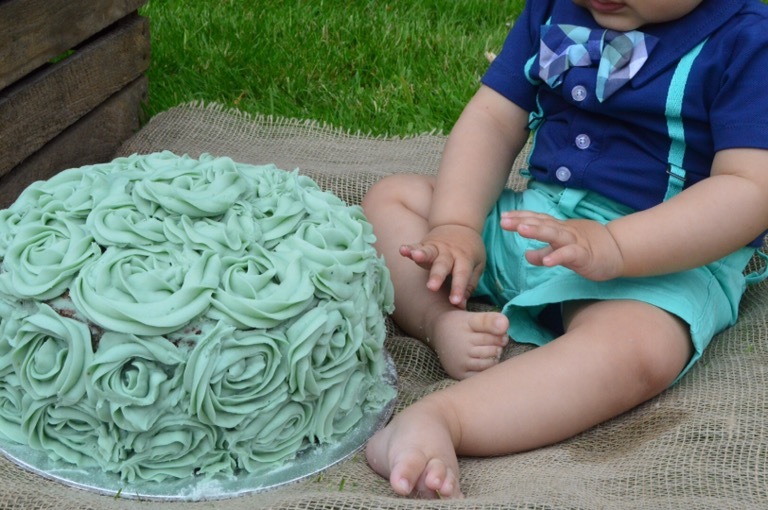 Any photos of him touching/eating/ playing with the cake had to be staged. 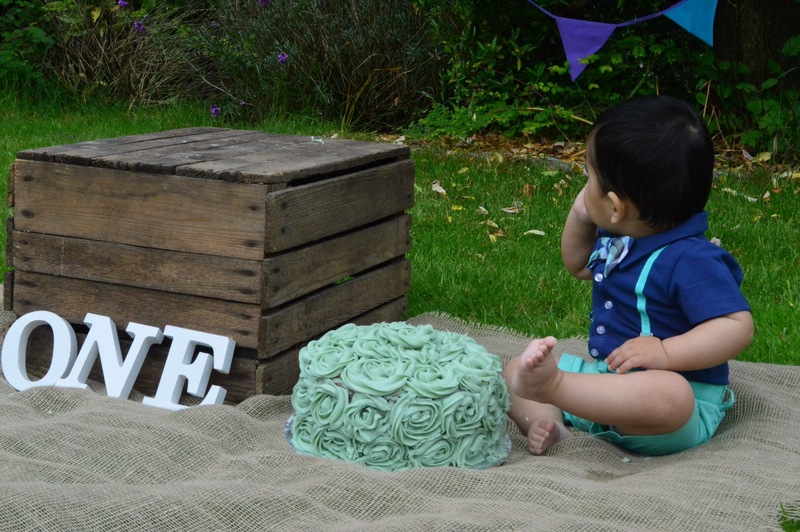 This got me thinking, do any one year olds really go for the cake or are they all staged?? I’d love to know.. Answers on a postcode please..
Keep it simple, and I mean SIMPLE. Too many probs and objects can make the photos too crowded and tacky. Less is definitely more in this case. A happy baby makes better pictures.. I did my shoot straight after Sami’s morning nap so I knew he wouldn’t be tired or grumpy. I also picked morning as I didn’t want too much sun in the pictures. In the end it was a pretty miserable day but you can’t tell in the photos. 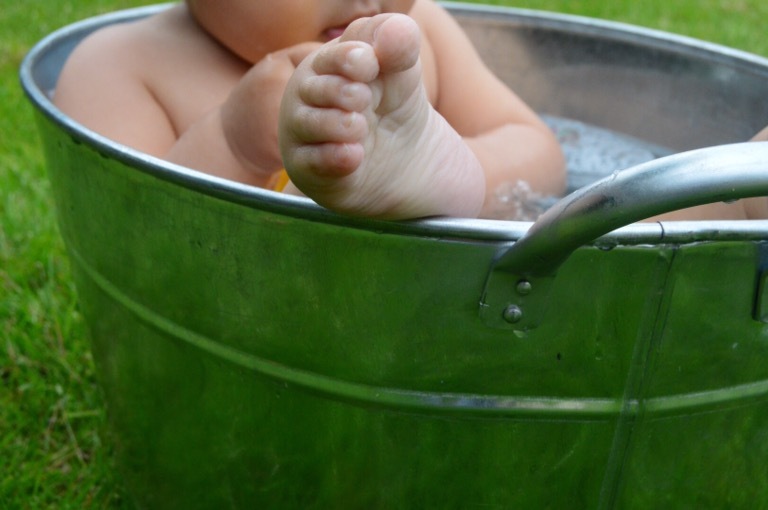 Increase the ISO on your camera as your baby will not sit and pose nicely, you will be taking moving action shots, and if the ISO is too low you will end up with blurry photos. Lower your expectations. I really thought my baby was going to have so much fun, I wasn’t prepared for how he actually reacted. Be prepared for this, so that you are not too disappointed. 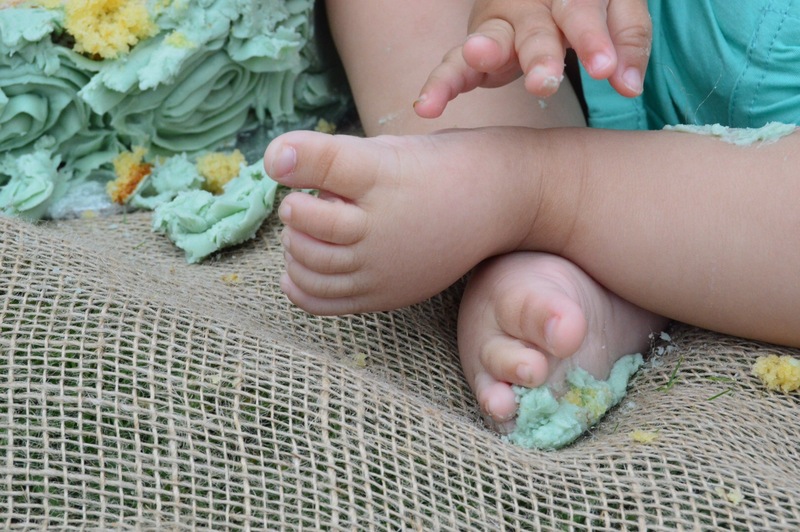 It’s maybe not a good idea to do it at their birthday party with an audience incase of a negative reaction. Don’t over worry/ over think things like the cake or outfit. 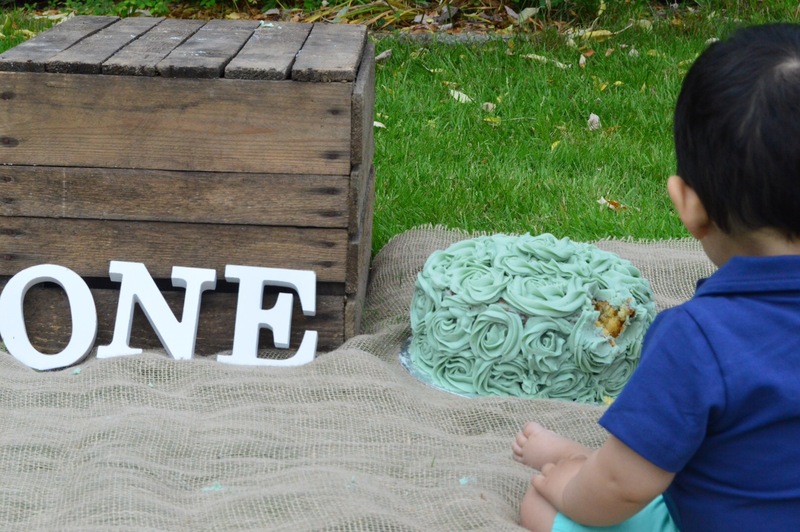 The cake doesn’t have to be perfect, minor blemishes won’t show in the pictures. In hindsight I am so glad I didn’t stick to my original outfit (well half naked baby) as it just wouldn’t have looked as good. I’ll leave you with some photos to enjoy..